Well, let’s take care of the elephant in the room first – it has been five months since my last post on this blog. I will offer no excuse other than to say it has been a very busy time with the move to San Diego and the new job. That being said, last evening I was finally moved to watch the next film on the American Film Institute’s Top 100 list so with no further ado, here goes. Like most people I read To Kill a Mockingbird and found it to be a classic American novel with themes of racism, coming of age, justice, etc. While it is certainly not among my favorite novels, it is without question an important novel that should continue to be part of the traditional canon. Of course, a film is not a novel and it is a rare film that rivals its adaptive book. 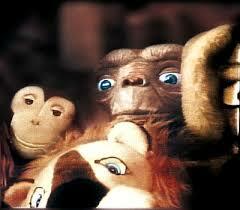 A film is just not capable of going into as much detail or building the same depth of character. Two hours is just not enough time to tell the full story. 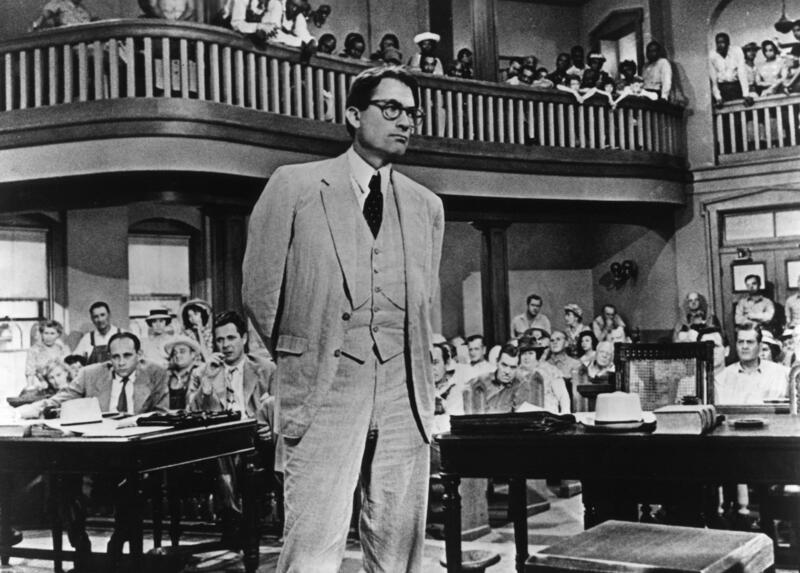 I think this is my issue with the 1962 film version of To Kill A Mockingbird – it just scratches the surface of the story. There are a few givens with the film though. For one, Gregory Peck is wonderful as the iconic Atticus Finch and was in fact rewarded with a Best Actor Oscar. I’m not sure it’s a performance for the ages, but it is hard to be a soft-spoken Southerner and be overly dramatic and Peck pulls it off (notwithstanding his emotional courtroom performance). To Peck’s credit it is nearly impossible to think of another actor as Atticus. Additionally, the young actors who portray Jem, Dill and Scout were wonderful in their innocence and rambunctiousness (is that a word?). What the film lacks is something that is hard to do in film – it is missing the inner thoughts of Scout, the book’s narrator. For some reason the film’s director chose to use narration sparingly and so it felt odd and mis-timed when the adult voice of Scout did chime in. I’m not sure why Director Robert Mulligan didn’t go all in with the narration – it would have been much more true to the novel. Additionally, in the film we were barely introduced to Boo Radley, so little that in fact it seemed odd that he saved the kids at the end of the story. The entire Boo Radley plotline seemed an afterthought and frankly the Boo dynamic is what keeps the novel together and provides its moral compass – much more than even the trial of Tom Robinson. Plus, why the heck did they cast Robert Duvall as Boo? As for the Tom Robinson story and the racism of the times, it too felt shortened in the film, which spends far too much time with the kids running around the town. Again, I think it all has to do with the fact that you only have two hours to tell a story that requires much more time. The Robinson trial is quite dramatic though, and I suspect the film (like the book) caused quite a stir at the time. It was interesting for me that I watched this film just days after the George Zimmerman trial – guess we haven’t come so far in terms of the travesties of justice in America. Overall I liked the film, and realize its importance in the AFI list. But I’d love to see a more modern adaptation.